Over time, plumbing piping — particularly metal pipes — can deteriorate and begin to leak. Leaks behind your home’s walls and ceilings can cause major damage. If you have an older home, or simply one that was build with low quality piping, AVS Plumbing & Heating can replace your pipes, making them safe and free of leaks. AVS Plumbing & Heating uses only the finest quality materials and workmanship when performing whole home repiping, to help ensure that your plumbing lasts for years to come. Don’t let slow leaks and old pipes cause a disaster in your home – contact AVS Plumbing & Heating to learn more about whole home repiping. 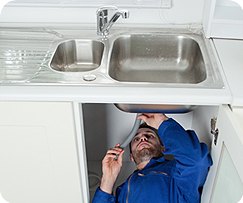 Never worry about plumbing issues in your home - trust the professionals at AVS Plumbing & Heating.